This DVD introduces you to the best birdwatching sites in Morocco, along the Atlantic coast and in the Atlas mountains. The best sites - covers no fewer than 19 birding sites including specific locations for species such as Tristram's Warbler, Atlas Flycatcher, Levaillant's Woodpecker, Marsh Owl and Seebohm's Wheatear. The best birds - sit back and enjoy footage of 75 species, including many of the specialities, all filmed using high-definition digital video cameras. 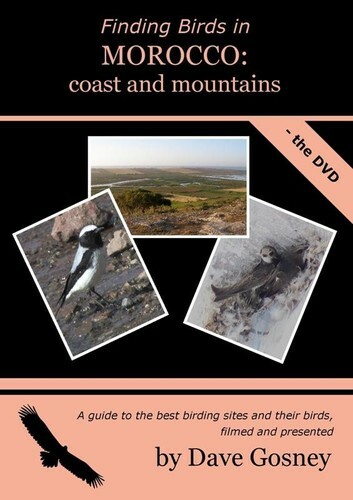 Travel along the Atlantic coast and in the Atlas mountains of Morocco with birdwatcher Dave Gosney as he shows you exactly how to find many of the most sought-after species. Watch footage of the birds themselves and listen as Dave explains how to recognise them by their songs and calls.